You'll be £25.00 closer to your next £10.00 credit when you purchase The Welsh at War. What's this? Welsh troops fought with great courage in every theatre of the war – the Western Front, Aden, China, Gallipoli, Egypt, India, Italy, Salonika and in Palestine – and as well as the casualties who were suffered during these campaigns, many men gained recognition for acts of gallantry. While chronicling a history of the war through the events and battles that Welshmen took part in, the stories of many individual casualties are included throughout, together with many compelling photographs of the men and their last resting places. 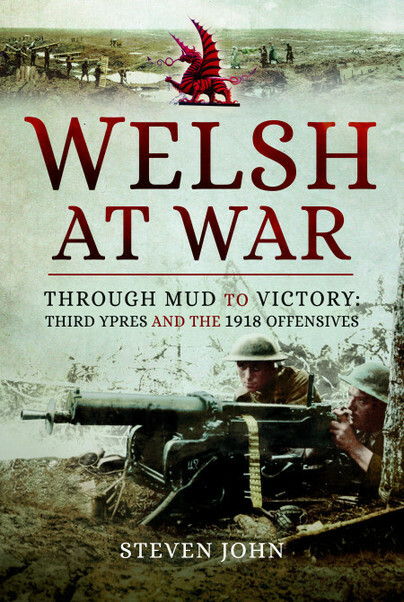 Volume III – ‘Through Mud To Victory’ – ‘Third Ypres And The 1918 Offensives’ – records the stories of the Welsh troops involved in the Third Battle of Ypres, from the Welsh battalions of the 19th (Western) Division at Messines Ridge, through the storming of the Pilckem Ridge by the 38th (Welsh) Division and the Guards Division; and the Welsh troops who fought in the final offensives at Passchendaele Ridge. The actions of Welsh troops during the Battle of Cambrai carry through to the final winter of the war and the volume records the sufferings of Welsh troops fighting during the desperate German ‘Kaiserschlacht’, offensives of the spring of 1918; and carries through the summer of 1918, when the 38th (Welsh) Division moved back to the Somme, to the actions of Welsh troops during the 100 Days Offensive which finally ended the war. The volume also covers the stories of the final battles in Italy, Salonika and Palestine, which saw Welsh troops play a large part. 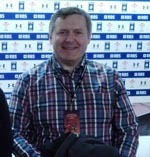 The author has clearly taken great care and effort to humanise and contextualise the Welsh contribution to the war. A proud book about men from a proud nation. A vast amount of detailed research has gone into these volumes and they are a welcome contribution to the literature of the Great War... anyone with an interest in the Welsh contribution to the First World War will find this book and its companion volumes absolutely absorbing. This should appeal to the serious student of WWI as well as the regimental museums of course.